They have mugs, personalized stationery, and even photo easels! Did you know you can also send your cards digitally!! Making holiday cards even simpler to share! Or enter below to win 1 mug and 1 set of Personalized Stationery! Perfect for holiday gift giving! MamaBreak received items to share this post and giveaway with our readers. We did not receive any other type of compensation. As always, our opinions and experiences are our own. I like the Ornament Christmas card. I really like the "You Make the Season Jully" style with teh argyl pattern... but they are all adorable! I love the "Thanks for the Milk and Cookies" card! I like the Cool Cucumber Birthday Card. I like the Clink to Christmas card. I like the "All I Want" Christmas card. Very nice site, I signed up for an account with Treat. Thanks! I like the Ultimate Gamer birthday card. I like the Season of Miracles card. 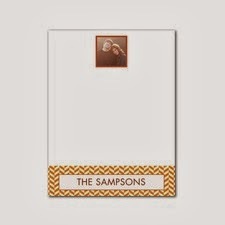 I like the Mahogany: The One Reason card. I like the Classic Navidad. I Like the Number One Noel. I absolutely love the "ewe rock" thank you card! Haha, it's perfect! I like Brighter and Wider. Thanks. My fave is the Holly Jolly Day card....but hard to choose just one. I like the breezy mistletoe card. I like the Christmas thank you cards for grandparents.